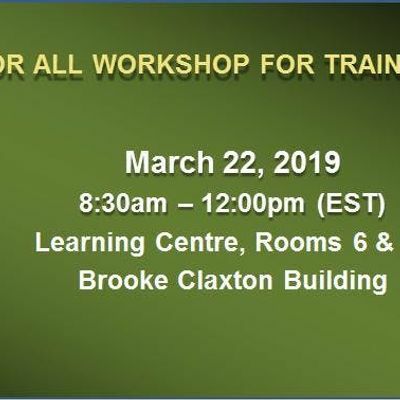 Leadership for All is piloting a 1-day leadership workshop for employees of Health Canada and the Public Health Agency of Canada and is looking for dynamic and engaging instructors that could be called upon to deliver the workshops to its employees throughout the year. We hope to eventually expand the delivery of these workshops across Canada and to other departments and agencies as well. Ambush live in Ottawa at Overflow!